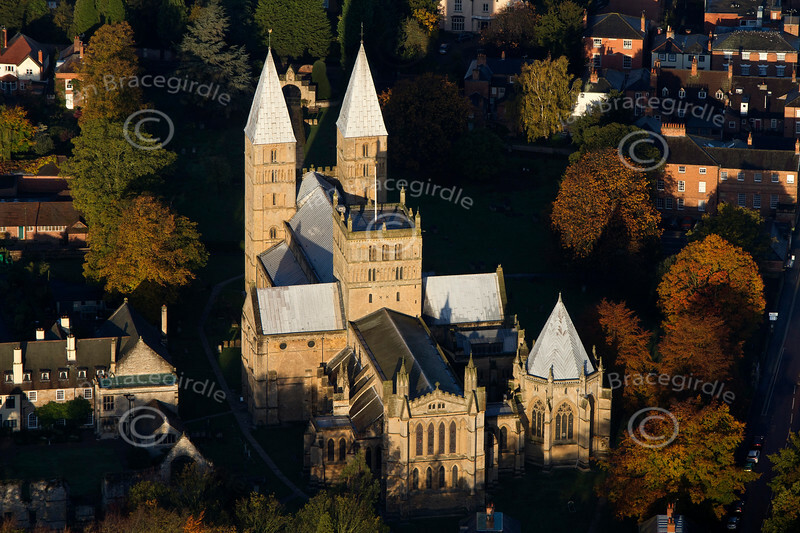 Stock aerial photos of Southwell Minster. Southwell Minster from the air. Aerial photo of Southwell Minster in Nottinghamshire. The Minster is built on a former Roman site and has been a place of worship for over a thousand years. The official name of the Minster is The Cathedral and Parish Church of the Blessed Virgin Mary. If this is the photo you would like to purchase, click the BUY ME button for prices and sizes of prints and digital downloads.